Referendum to purchase public park. St. Charles County Fair Grounds. Blanchette Park was officially purchased for $78,920. 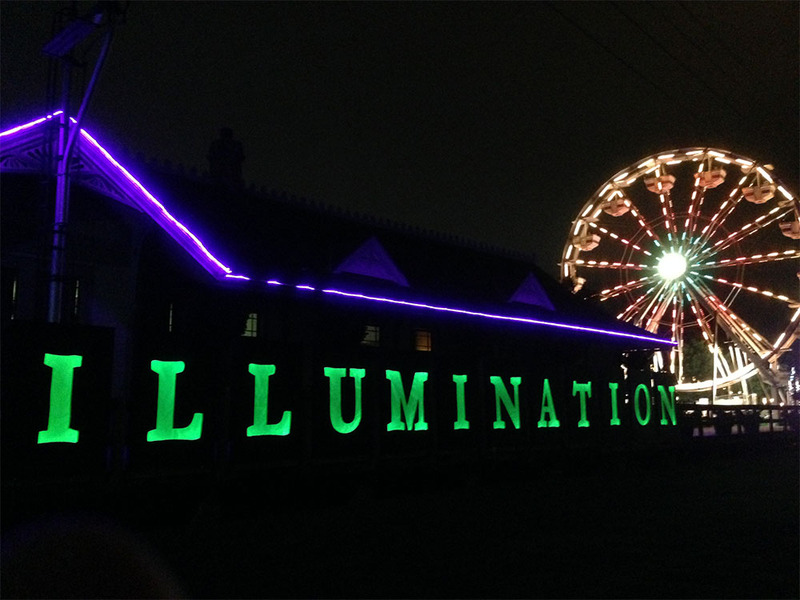 September of 2014 the St. Charles Parks and Recreation Department celebrated its 100 year anniversary with a weekend long event called ILLUMINATION. 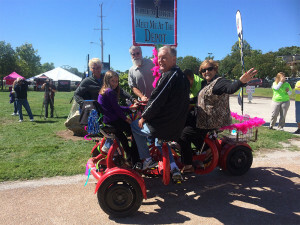 This event took place Friday, September 12 – Sunday, September 14 in Frontier Park on the St. Charles riverfront. The event lit up the night while also enlightening visitors to the past, present, and future of St. Charles Parks and Recreation. Illumination featured live music, premium amusement rides provided by Luehrs’ Ideal Rides, children’s activities, a Model T car show, a children’s bike parade, interactive tile wall art, food and beverages, and more. 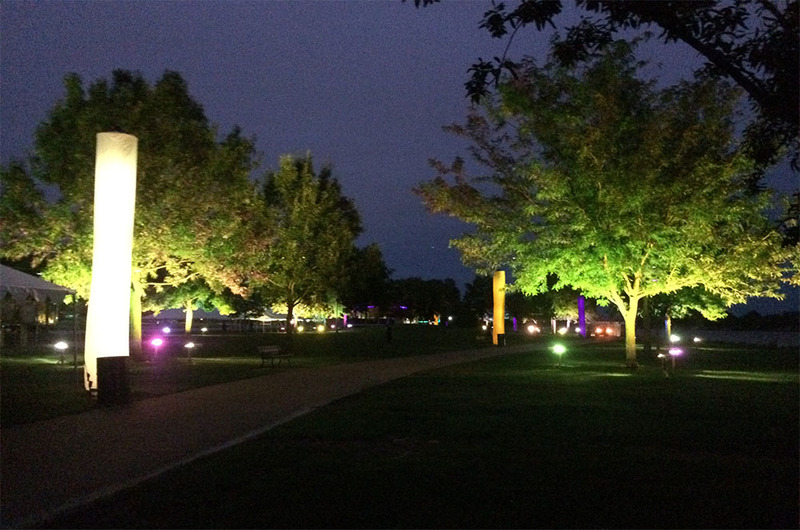 The St. Charles Parks and Recreation Foundation also hosted their first IllumiRun 5K during our 100 year celebration on Friday, September 12. Runners were encouraged to adorn themselves with glow products as they ran along a trail that was lit up to guide their way. 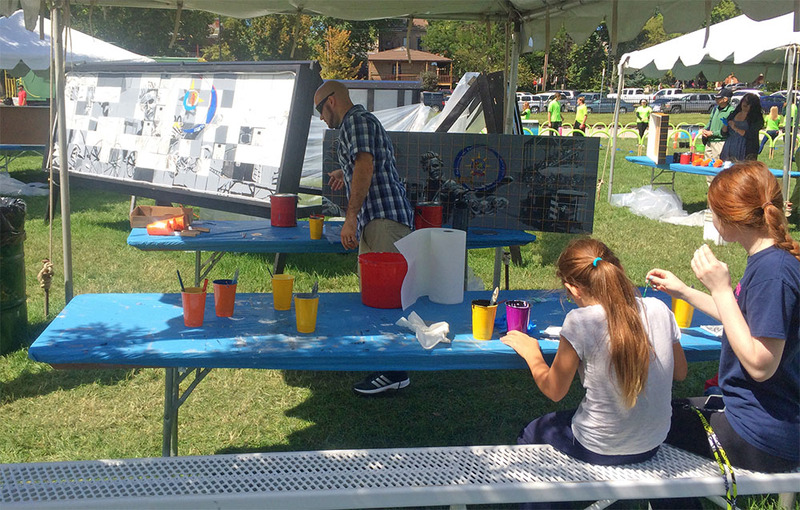 The weekend long celebration was packed with entertainment for all to enjoy and we were so happy to see all the visitors who came out to show their support! THANK YOU FOR 100 YEARS OF SUPPORT! Learn more about St. Charles Parks and Recreation History by purchasing your very own copy of our Historic DVD: 100 Years of Growth. DVDs can be purchased at our Administration Office in Blanchette Park. Art Prints created by local artist Zack Smithey are available for purchase at our Administration Office in Blanchette Park.